USA Network is airing two back-to-back episodes of Chrisley Knows Best on Tuesday, October 11. The first, ‘Crowning Around’, follows the Chrisley family as they travel to Las Vegas to cheer on Savannah at the Miss Teen USA Beauty Pageant. Comic relief is provided by Chase who’s supposed to keep tabs on Nanny Faye as Nanny Faye takes in a male stripper show and some gambling. “How did you lose a 200-pound granny?” Todd asks Chase. The second episode ‘Pretty in Print,’ captures Todd in all his glory as he (and Savannah) are chosen as two of the “25 Most Beautiful People of Nashville” for the magazine Nashville Lifestyles. 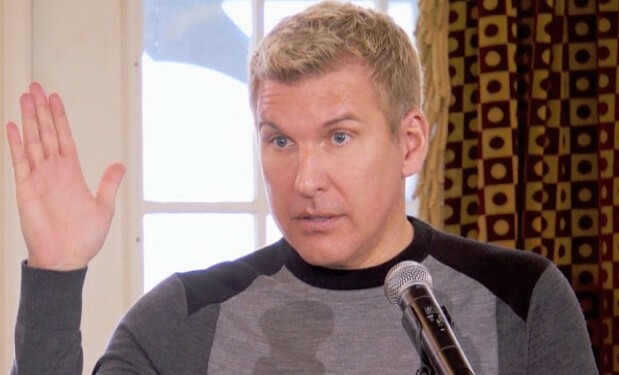 Todd is heard saying, “I’m 48 and I look hot.” Chrisley Knows Best airs Tuesdays at 9:30pm and 10pm on USA. So proud of you @savannahchrisley this year has been life changing for you as Miss TN Teen USA and you have been a wonderful representative to which makes us so proud , with all our hearts we love you to the moon and back .